Looking for instant anti-aging results? The customized Juvederm and Dysport treatments at our Kelowna skin clinic can give you the natural, beautiful appearance you desire! 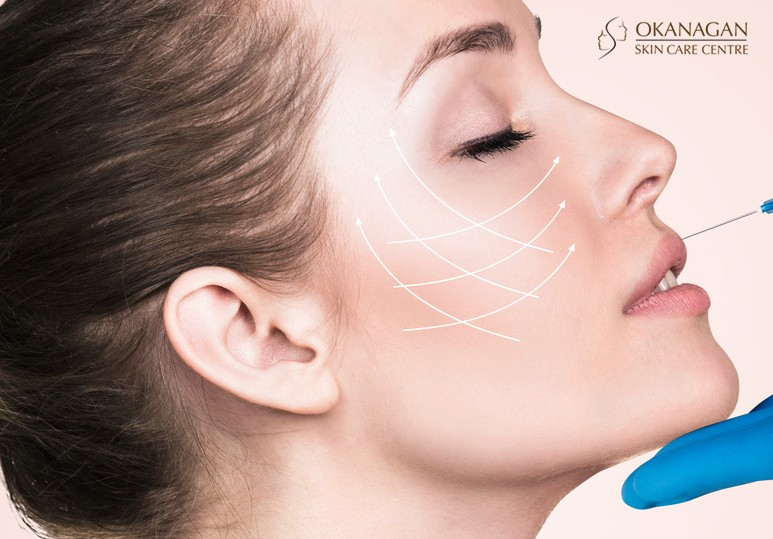 In today’s busy world, where patients are eager to look their very best without the extensive recovery period required from invasive cosmetic surgery, Kelowna skin clinics are offering cosmetic injectable treatments - a minimally invasive facial rejuvenation alternative. Based on your unique skin type, the specialists at our Kelowna skin clinic offer a range of cosmetic injectables to help you naturally achieve all your aesthetic goals. Every patient has different concerns they want to address. Yet with the plethora of non-invasive, anti-aging treatments available, it can be difficult to decide what best fits your particular needs. A family of injectable dermal fillers, Juvederm is the top recommended facial filler in Canada. Composed of hyaluronic acid, a naturally occurring sugar in the body, Juvederm combines with the water in your skin to naturally restore lost volume and eliminate unwanted facial lines. Juvederm gel is much smoother as compared to other fillers, giving better, more natural results. Are You A Candidate For Juvederm? While Juvederm is a FDA-approved tissue filler, suitable for most skin types, it’s important to book a consultation at a skin clinic first to determine if it’s a safe procedure for you. Similar to Botox, Dysport is an advanced and innovative neuromuscular blocker that works to eliminate unwanted frown lines and forehead wrinkles. Approved by the FDA in 2009, Dysport is an excellent alternative to Botox for patients looking for instant and natural anti-aging results. Dysport has been approved by the FDA for temporary treatment of moderate-severe frown lines in adults under the age of 65. Patients who are concerned about the wrinkling of the forehead are good candidates for Dysport injections. Emervel is an innovative range of dermal fillers designed to complement the varying stages of facial aging to provide looking result. Developed using the unique Optimal Balance Technology, Emervel offers a softer and longer-lasting effect than most traditional tissue fillers. Are you a candidate for Emervel? The range of Emervel dermal fillers means that this product can be used for a wide range of aging concerns as well as for many different skin types. At our Kelowna skin clinic, we understand that anti-aging treatments are not one-size-fits-all. Using the advanced VISIA Digital Analysis System, our specialists are able to tailor the anti-aging cosmetic treatments to suit your skin type and particular aesthetic needs. Want to find out how we can customize the perfect anti-aging cosmetic treatment for you? Contact our Kelowna skin clinic today at 250-868-9099 or book a consultation today.